Not long after Marcia Stanton stumbled across the original article from the CDC’s Adverse Childhood Experiences Study, she heard a conference presentation by Dr. Vincent Felitti, one of the study’s co-authors. She invited Felitti to do grand rounds with 100 pediatricians at Phoenix Children’s Hospital, where she works. was very common — two-thirds of adults have experienced at least one type. It showed that if people had experienced one, they usually experienced more. And the study showed the more types of trauma experienced, the higher the risk of chronic disease and mental illness. For example, an ACE score of 4 increased the risk of suicide by 1200 percent and alcoholism by 700 percent. Felitti had warned her that physicians were typically slow to warm to ACEs research. Not these physicians, she thought. Seven train-the-trainer workshops in which 450 people learned about ACEs, the effects of toxic stress and resilience factors, and how to present this information to their communities. Tens of thousands of Arizonans who now know about the ACE Study. The first train-the-trainer workshop group alone—which included 35 people from the state’s 15 regional child abuse prevention councils—did presentations in April 2010 as part of Child Abuse Prevention Month. Those presentations reached 13,000 people. 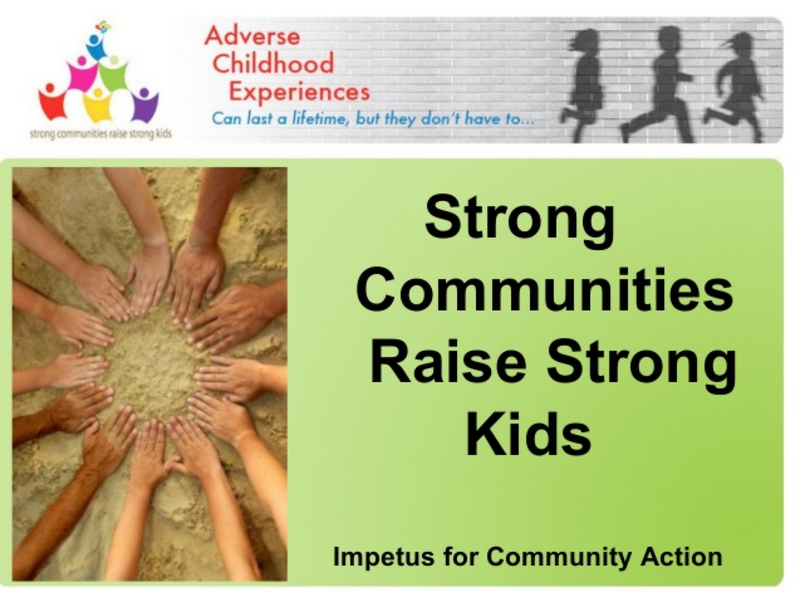 A partnership with Eight, Arizona PBS television, which set up a webpage for the ACE Consortium and the “Strong Communities Raise Strong Kids” tool kit. The kit includes a downloadable PowerPoint presentation about ACEs in English and Spanish. A major spin-off project on childhood adversity prevention. While the consortium supports all evidence-based prevention programs, the group adopted the Triple P parenting program as a primary initiative. Triple P is a multilevel system of evidence-based education and support; the program’s goal is to increase parents’ and caregivers’ knowledge, skills and confidence in order to reduce the rates of behavioral and emotional problems in children. The ACE Consortium is developing a statewide infrastructure with plans to offer the program to all Arizona families. ACEs screening for families. The Arizona Children’s Association, one of the state’s largest providers of behavioral health, is incorporating the ACE survey into its intake process with all families. A state ACE survey. The Arizona Department of Health Services is including the ACE survey in its Behavioral Risk Factor Surveillance System questionnaire this year. After Felitti’s visit in 2006, Dr. Mary Warren, who helps coordinate the Best for Babies program at Prevent Child Abuse Arizona, teamed up with Stanton to spread the word about ACES. Stanton and Warren convinced Phoenix Children’s Hospital to bring Felitti back the following year for a conference and a community round-table discussion. His visit prompted about 50 people to express interest in figuring out how to implement the research in Arizona. The Arizona ACE Think Tank used “The Spectrum of Prevention,” part of tools by the Prevention Institute, to produce a campaign that shifts perception of prevention from teaching healthy behaviors to identifying 6 levels of interventions. Of those 50, four to six people began meeting regularly. They called themselves the ACE Think Tank. And they spent the next couple of years talking, doing presentations to whomever was interested, and, well, thinking. First, they decided to think big; they wrote a $1,000,000 grant proposal that would screen all patients coming through Phoenix Children’s Hospital for ACEs. It was turned down. “That was the last big grant we applied for,” says Stanton. If you convince thousands of people to think small, that’s thinking big. Thinking small seemed the way to go. But the secret they discovered was that if you convince thousands of people to think small, that’s thinking big. 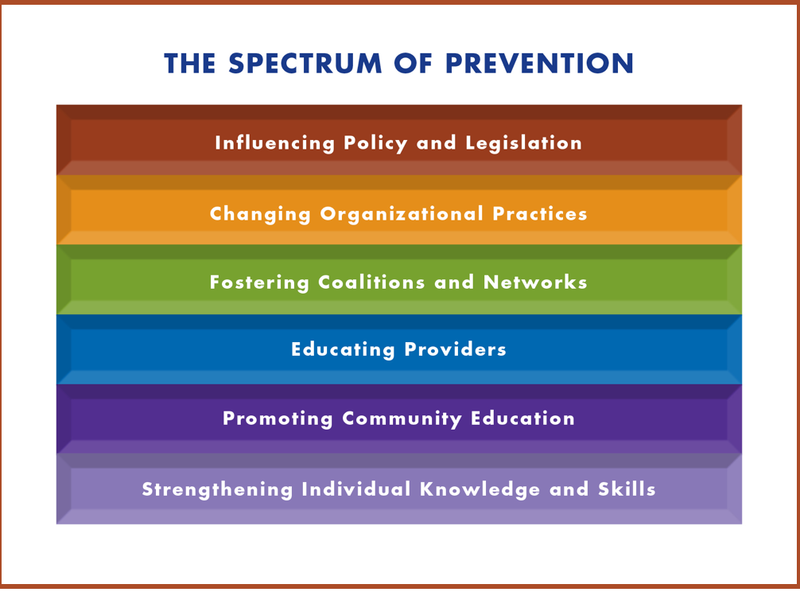 They used Prevention Institute’s Spectrum of Prevention tool that “encourages people to move beyond the perception that prevention is about teaching healthy behaviors” and identifies six levels of intervention—for instance, increasing individuals’ knowledge, educating providers and influencing legislation—that may not seem related at first, but end up complementing each other. A local prime-time special that featured interviews with local experts, paired with a call-in panel, “Ask a Child Trauma Expert,” that took questions from the viewing public. In 2013, the consortium hosted the state’s first Child Well-Being Summit, which members hope will become an annual event. The demand for the train-the-trainer workshop is so great that they’re now doing two a year. Earlier this year, the consortium released “Overcoming Adverse Childhood Experiences: Creating Hope for a Healthier Arizona”, which reported that nearly 70,000 Arizona children have an ACE score of 5 or higher. The report went to all Arizona legislators. The consortium is preparing an addendum that includes county-specific data. An ACEs Clinical Practice Work Group is developing “do’s and don’ts” guidelines for organizations considering using the ACE survey as a screening tool, as well as a list of trauma-informed and culturally relevant counseling and peer support resources. It turned out that “thinking small” meant growing and taking advantage of a network that has exposed tens of thousands of people to detailed information about ACEs. Today the consortium boasts more than 200 members statewide; 50 of those are active, and the others participate when called upon, such as to print materials for the workshops, donate space for trainings or contribute small amounts of money for speakers’ fees. The consortium continues to hold quarterly meetings. Consortium participants include representatives from Arizona State University; Head Start; Recovery Empowerment Network; Eight, Arizona PBS; Raising Arizona Kids Magazine; Easter Seals agencies; behavioral health service/system providers and recipients; the state departments of Economic Security, Behavioral Health Services, Education and Public Health; parenting groups; Arizona Association for the Education of Young Children; Prevent Child Abuse Arizona; Mercy Maricopa Integrated Health System; Arizona AAP, First Things First, the Children’s Action Alliance; representatives from the court system and domestic violence nonprofits; and many more. In 2013, eight of the state’s 15 regional Child Abuse Councils included ACE presentations and/or talks by experts in juvenile justice, mental health, substance abuse, and education about how they were implementing ACE- and trauma-informed practices. One council even offered ACE-themed mouse pads to attendees at a conference. Easter Seals is doing presentations about ACEs and how to overcome them. Some of those trainings target how child-care centers and schools can use the ACE Study’s research to create safe environments for children and to help educate their parents. The educational outreach department of Eight, Arizona PBS has a grant to coordinate 12 ACE trainings around the state outside of Maricopa County (where Phoenix is located) this year. Because traditional stop-bullying campaigns don’t focus on why students bully, the statewide bullying initiative has started including ACEs education in presentations to show how preventing ACEs can help prevent bullying. After the debacle in 2013 when the Arizona Child Protective Services Agency was found to have shelved 6,000 child abuse and neglect cases without investigation, and had a 10,000-case backlog, the agency was pulled out of the Department of Economic Security, and has a new director who reports directly to the governor. Two large work groups were launched to restructure the agency. Stanton, who is serving on one of those groups, says the agency is implementing prevention as one of its three main pillars, a move due in part to the consortium’s work over the last few years. Phoenix Children’s Hospital community pediatrics clinic, which sees 20,000 patients a year, has start screening parents and their newborn- to five-year-old children for ACEs. Unfortunately, the hospital has ended orientation about ACEs; Stanton will instead offer “lunch ‘n learns”. This article about Arizona is one of several profiles of communities that are becoming trauma-informed. They are published together in the Community Resilience Cookbook. She’s also frustrated that the state has taken so long to include the ACE module in the BRFSS. The data in the 2011/2012 National Survey of Children’s Health indicates that more than 25% of Arizona kids aged 0–17 have already experienced one adverse family experience, while 31% have experienced two or more. The nationwide average is 22.6% of children experiencing two or more ACEs. More alarming, among older Arizona children, those aged 12-17, 44% have experienced two or more ACEs, compared to the nationwide average of 30.5%. Although “every time we’ve needed something, someone in the consortium has stepped up and provided resources,” the ACE Consortium is at its limits, Stanton says. To do more training in all sectors, to bring sectors together, to support changes in organizations, to work with the governor and legislature on a statewide plan, to help communities develop their own plans, to create ways to evaluate activities—all this and more requires a new level of organization and funding. This is one of several articles about how different towns, cities, states and provinces are beginning to embrace an ACEs movement and become engaged in preventing/treating ACEs and promoting resilience. They were done as part of a Community Resilience Cookbook, produced by the Health Federation of Philadelphia with support from the Robert Wood Johnson Foundation. 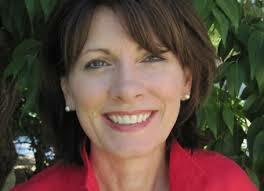 Much gratitude and appreciation to Marcia Stanton, Mary Warren and all contributing to this unfolding.